Cut-out illustration of a rose. 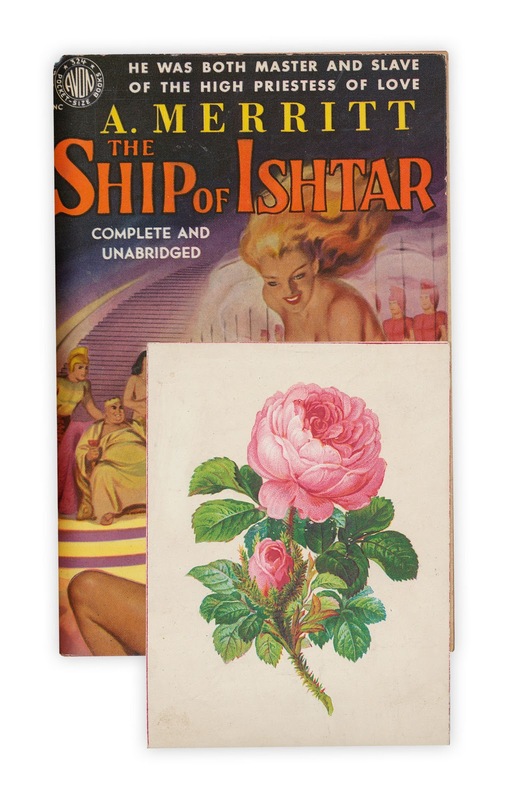 Found in "The Ship of Ishtar" by A. Merritt. Published by Avon Books, 1951. That is a really great pulp-y cover! Tasteful placement of that bookmark!